Department of Anesthesiology, Johannes Gutenberg-University Mainz, Germany. Endotracheal intubation via direct laryngoscopy frequently provokes cardiovascular side-effects. Although using a lightwand intubation device reduces laryngeal stimulation, previous reports indicated a similar stress response compared to classical laryngoscopy. 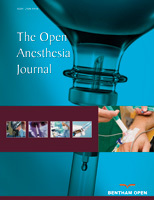 We hypothesized that endotracheal tube (ET) placement itself elicits haemodynamic instability and that topical anaesthesia can attenuate this response. 30 patients were randomized to three groups (n = 10 each). After induction of general anaesthesia (fentanyl, etomidate, vecuronium) 5 ml of test solution was applied to laryngo-tracheal structures via a lightwand guided EDGARTube ®. Control group received 5 ml saline 0.9%, group lido 1% 5 ml lidocaine 1%, and group lido 2% 5 ml lidocaine 2%. After 2 minutes of bag-mask ventilation lightwand guided ET placement was performed. Invasive systolic arterial pressure (SAP, mmHg), heart rate (HR, bpm) and arterial plasma concentrations of catecholamines ([adr][nor], pcg ml-) were determined. After ET placement control group patients showed increased HR and SAP (mean Δ HR = 15.3; mean Δ SAP = 45.6) compared to both lido groups (Δ HR: lido1%/2% = 5.8/3.7; Δ SAP: lido1%2% = 8.7/13.0). Catecholamine concentrations also increased only in the control group (mean Δ [adr] = 101.43; Δ [nor] = 89.41) but not in lido groups (Δ [adr]: lido1%/2% = -12.93/7.05; Δ [nor]: lido1%/2% = -6.61/-30.55). Effect size calculation indicated strong clinical effects of topical lidocaine for almost all variables (ES > 0.8). ET placement into the non-anaesthesized trachea causes haemodynamic and endocrine stress even if direct laryngoscopy is omitted. Topical anaesthesia effectively reduces this response.